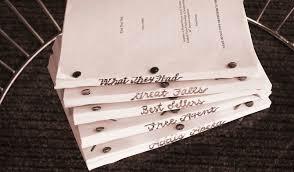 For screenwriters: on feature-length screenplays or teleplays up to 125 pages, comprehensive and constructive analysis notes will be returned typewritten; other script notes will be handwritten or typed on the page(s) of your material. Editing, proofreading and a one-hour phone consultation are included. This plan also provides additional notes for a submitted query letter, log-line and synopsis in connection with the aforementioned screenplay or teleplay. 2) credit card by using the Pay Pal “Add to Cart” button. *** Service Fees with the asterisks are to be paid only by money order or check.